(a) Passed Intermediate / 10+2 / Equivalent Examination with Mathematics, Physics and English with minimum 50% marks in aggregate and 50% marks in English. OR (b) Passed Three year Diploma Course in Engineering (Mechanical / Electrical / Automobile / Computer Science / Instrumentation Technology / Information Technology) from a Government recognized Polytechnic Institute with 50% marks in overall aggregate, and 50% marks in English in Diploma Course or in Intermediate/Matriculation if English is not a subject in Diploma Course. Pay & Allowances : During training, a stipend of Rs. 11,400/- per month will be paid. On completion of training, starting gross emoluments at the minimum of scale of pay including Grade Pay, Military Service Pay (MSP), Group ‘X’ Pay (applicable for Group ‘X’ (Technical) Trades only), Dearness Allowance (DA), will be Rs. 24,900/- per month (approximately) which, in subsequent years, may rise up to Rs. 43,940/- per month (approximately). Domicile Requirement : To be eligible to appear in the rally at Stadium of Sports Authority of Goa, Campal, North Goa the candidates are required to satisfy the following conditions: (a) Boards recognized/affiliated by Council of Boards for Secondary Education (COBSE) will only be permitted. (b) The School / College / Institute from where candidates have passed the qualifying examination should be within the geographical / administrative limits of the State of Goa and designated Districts of State of Maharashtra (as mentioned in para 2 above). If the name of District is not mentioned with the name of Institution in the certificate / marks sheet of qualifying examination, the candidates are to produce ‘Domicile Certificate’ issued by Tehsildar/SDM/DM/Revenue Department or any official authorised by the State Government of Goa / Maharashtra . (c) Permanent Domicile of the State of Goa and designated Districts of State of Maharashtra (as mentioned in para 2 above) who have passed the qualifying examination from anywhere in India. However, such candidates have to produce the Domicile Certificate prior to commencement of examination from appropriate authority as given in sub-paragraph 5(b) above. 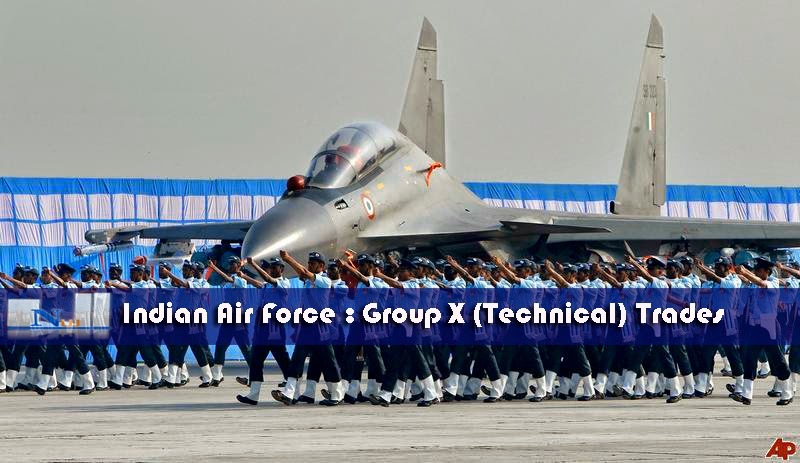 (d) Sons of Serving / Retired / Discharged / Deceased Air Force Personnel, irrespective of their domicile status may be permitted to appear in the rally subject to submission of Son of Air Force Personnel (SOAFP) Certificate as a proof in the following categories: -(i) Father/Mother is presently serving in any Air Force Unit located in the State of Goa and designated Districts of State of Maharashtra (as mentioned in para 2 above). (ii) Ex-IAF personnel/families of deceased personnel who are residing in the State of Goa and designated Districts of State of Maharashtra (as mentioned in para 2 above) (on production of proof of minimum stay of one year along with Original and a photocopy of discharge book).